A lot of businesses set out with specific goals for utilizing social media platforms. One of the most common goals is to attract and create customers. Unfortunately, however, where many businesses fail to actually accomplish this is on the most basic level of all: content creation. They know they want to extend the opportunity for new clients, but their selection of cultivated communication doesn’t reflect the end goal. Posts often end up as irrelevant article shares from third parties and text-heavy updates that have no real calls-to-action. 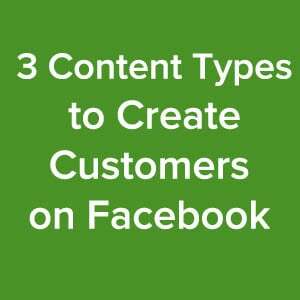 One of the easiest ways to convert Facebook Fans into customers is to give them an opportunity and incentive for making the jump. Be sure to also present action steps for the next destination in the journey. Should they follow a link to take advantage of your sale? Do they need to come into the store? Let them know and watch them take advantage. Converting Facebook Fans to customers can be as simple as designing a quick, social-media only coupon for in-store or online usage. Facebook simplified and streamlined this process. Third-party Facebook apps make it easy to develop a landing page directly into your Facebook page. Tools like Heyo make creating a landing page tab as easy as drag and drop. This in mind, you can make your in-Facebook landing page offer just about whatever you’d like. Try using one of your content offers–use your eBooks, videos and other educational resources as incentive for prospective customers to enter their emails in order to take advantage of your wisdom. 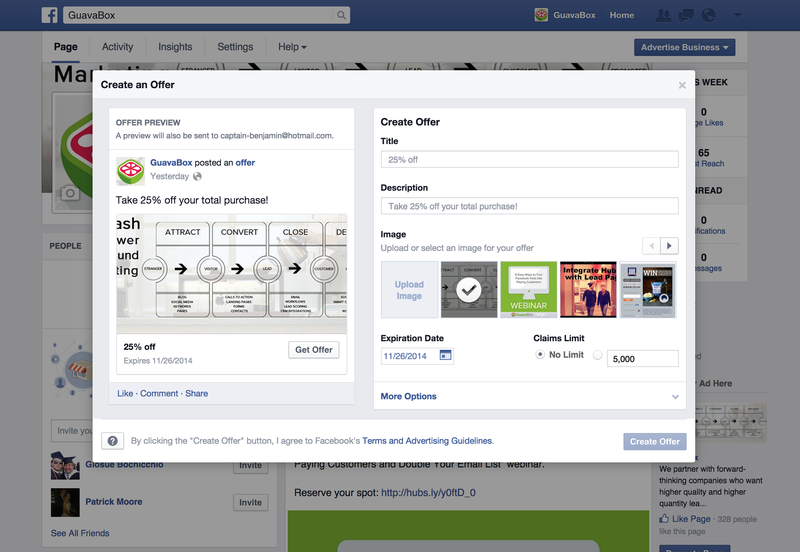 For an example of a Facebook tab as a landing page in action, check this out. 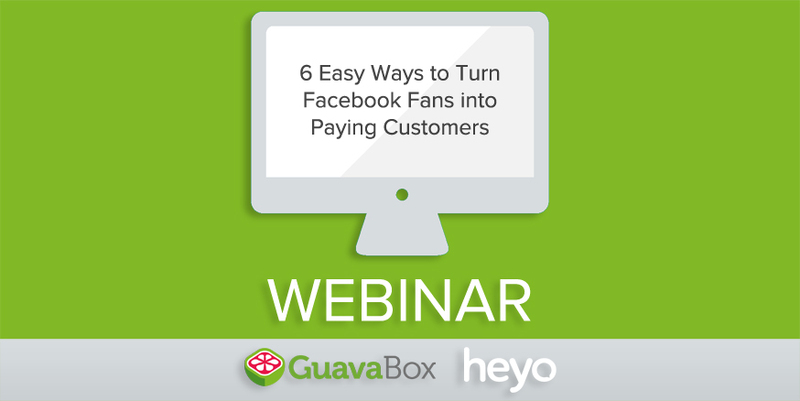 Gain additional insight on turning Facebook Fans into customers by joining GuavaBox Co-Founder Gray MacKenzie and Heyo CEO Nathan Latka this Thursday at 3 p.m. EST for the “6 Easy Ways to Turn Facebook Fans Into Paying Customers and Double Your Email List” Webinar.